Described by BBC Radio 3 as ‘the saviour of contemporary classical music’, respected English conductor George Vass studied at the Royal Birmingham Conservatoire and the Royal Academy of Music, London. He was appointed Artistic Director of the internationally renowned Presteigne Festival in 1992, having served the Hampstead and Highgate Festival in a similar capacity from 2004 until 2009. 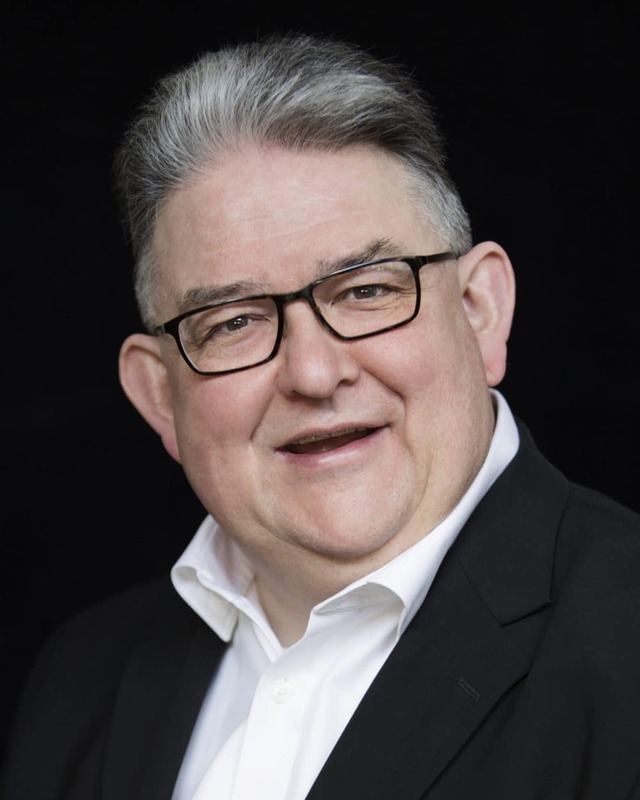 Vass made his professional conducting debut at St John’s Smith Square in 1979 and, as Artistic Director of the Regent Sinfonia of London and later Orchestra Nova, has appeared at many of the UK’s major concert halls and festivals. As a guest conductor he has worked with ensembles including the Bournemouth Symphony, Royal Liverpool Philharmonic, Royal Scottish National and Ulster orchestras, Amsterdams Promenade Orkest, Konzertensemble Salzburg, London Mozart Players, Malmö Opera Orchestra, the choirs of Royal Holloway and Merton College Oxford and Schola Cantorum Oxford. He has broadcast for BBC Radio 3 and Channel 4 television. Vass has made over thirty commercial recordings for Dutton, Champs Hill, Guild, Lyrita, Naxos, Resonus Classics, SOMM and Toccata Classics. His discography encompasses the music of Alwyn, Rodney Bennett, James Francis Brown, Elgar, Delius, Dodgson, Handel, Holbrooke, Holst, Hurd, Thomas Hyde, John Joubert, Leighton, Maconchy, Mathias, David Matthews, McCabe, Cecilia McDowall, Stephen McNeff, Paul Patterson, Purcell, Tovey, Vaughan Williams and Warlock. ‘One of the most luminous scores in twentieth-century music [Copland: Appalachian Spring – complete ballet], Vass shaped the work as if in one single, unbroken paragraph of inexhaustible melody, crowned at the centre with the ubiquitous Shaker hymn […] It was a hugely affecting account, beautifully played by the 19 musicians on stage and expertly balanced by George Vass. It concluded a wonderful concert and resounded in my memory for days afterwards’. Founder Artistic Director of Nova Music Opera, he premiered Thomas Hyde’s That Man Stephen Ward (Hampstead and Highgate Festival, 2008; revival for Nova Music Opera, 2015) and, for Nova Music Opera, Sally Beamish’s Hagar in the Wilderness (2013), Stephen McNeff’s Prometheus Drown’d (2014), Cecilia McDowall’s Airborne (2014), Charlotte Bray’s Entanglement (2015) and Joseph Phibbs’ Juliana (2018). He has also conducted Britten’s Curlew River (Hampstead and Highgate Springfest, 2009; Nova Music, 2013) and Holst’s Savitri (Nova Music, English Music Festival, 2010). Over the last quarter century he has commissioned and premiered new work from such eminent composers as Sally Beamish, Martin Butler, Gabriel Jackson, Paweł Łukaszewski, David Matthews, John McCabe, Cecilia McDowall, Paul Patterson, Joseph Phibbs, Robert Saxton, Peter Sculthorpe, Huw Watkins and Hugh Wood. A great advocate of community music-making, Vass is currently music director of Bushey Symphony Orchestra, St Albans Choral Society, and enjoys associations with the Blaze Ensemble and the Royal Tunbridge Wells Symphony Orchestra, having also conducted performances at the 2016 and 2017 Dartington International Summer School. Recent highlights include a critically acclaimed recording of Thomas Hyde’s That Man Stephen Ward for Resonus Classics, a successful concert at St John’s Smith Square as part of Americana ’18, Sweeney Todd at Dartington and the much-lauded premiere of Joseph Phibbs’ chamber opera Juliana at the 2018 Cheltenham Festival. George Vass is an Associate of the Royal Academy of Music, served the British Arts Festivals Association as chair from 2014-18 and in October 2017 was presented with a BASCA Gold Badge Award marking his support for the UK songwriting and composing community. In 2016, he was appointed a governor of The Royal Society of Musicians – founded in 1738, Britain’s oldest music charity providing immediate financial assistance to musicians unable to work due to accident, illness or old age.